1. The Invisibility that Comes as You Age...Is it Inevitable? Cruising internet sites dedicated to the over-50 crowd, I’ve noted that just about every site features an article or discussion about becoming “invisible.” Even amid deteriorating health, aches and pains, thinning hair, and spreading girth, women 50 and over are concerned about being invisible. Younger people, it seems, avoid looking at older folks. Is it some kind of a collective politeness? More likely it's a form of denial: If I don’t look, aging won’t happen to me. 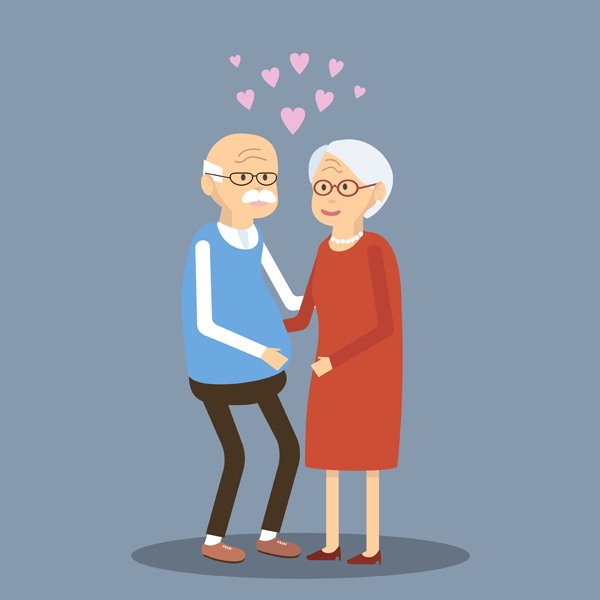 Visiting a local gym the other day, I saw a couple, a man and a woman, both in their late 70s. They squeezed hands and kissed after every set on the machines they were using. Everyone around, of any age or gender, couldn’t stop staring. And I thought: Here’s one way to deal with invisibility. It starts, for most, as we approach or hit age 50. Women lament the ceasing of men’s admiring glances. Soon, people stop looking altogether. Here’s an idea…just about everyone else over 50 has bad posture, so ensure that you have a straight back. If you walk with your head high, shoulders back, and your chest forward, people will notice. That’s true enough at any age. And especially in our time, when smart phones and computers make the slouching back and shoulders an epidemic. Of all physical characteristics, posture is most prominent. Want to avoid invisibility? Work on your posture daily. 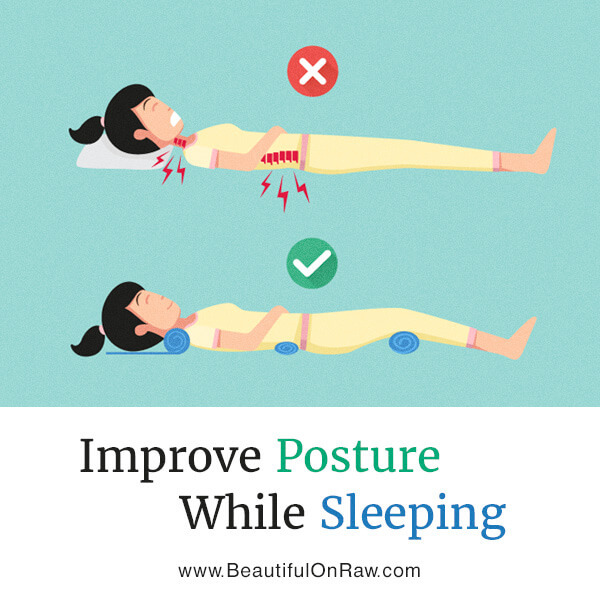 See my new article: Improve Your Posture While Sleeping. An old man shuffles by in a grocery store. A decrepit woman on her walker creaks by the front door of your gym. Do you look? Not really—not in their eyes. Often, we walk right on by, as if they weren’t even there. Why? Because we don’t want the reminder that, if we live long enough, this most likely will happen to us. That we too will grow both old and…invisible. It just so happens that most of the time I do look at old people. My childhood hip injury made me see myself in them, perhaps because to some degree I know how it feels when you cannot do things you want to do, how it feels to be seriously limited physically. My dedication to the healthiest possible lifestyle sprung from my desire to avoid or delay as long as I could this facet of old age. Next time you see an old person, don’t avoid looking. Look right in his or her eyes. Smile. They won’t expect it. Others don’t do this. You just might make that person’s day. You'll gain from it, too. You’ll bring a smile to your own face and add a spring to your own step. Go home and make a green smoothie. Skip that unhealthy dessert you’d been thinking about. And you won’t forget your beauty treatment. Sleep on your side, many chiropractors will tell you. Most chiropractors are men, however. What they don’t know or think of is that side-sleeping creates terrible creases on your face. If you’re over 35 and you sleep on your side or on your stomach, I can practically guarantee you’ll have eye bags and creases when you wake up. Even worse, they’ll be asymmetrical. Read the whole article here. How else you can defy the stereotype? Everyone over 50 has wrinkles, so make sure you’re diligent with your skincare. 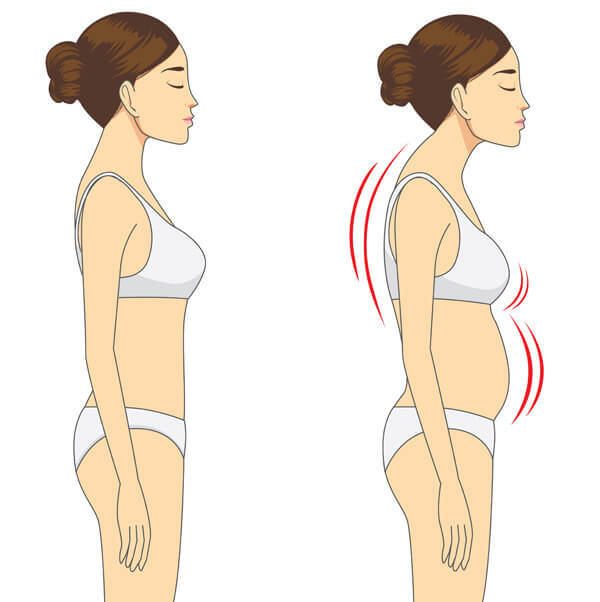 My husband Nick constantly reminds me: People see your posture first, your complexion second. If your shoulders are slumped, they won’t give you a second glance. But if you do get a second glance, it's your smooth complexion that will make people look at you longer. You can be the one who draws admiring looks—at any age. Our Anti-Aging Glow cream, as you’ve now doubtless noticed, carries the pleasant scent of vanilla oil. There’s no end, it seems, to the benefits of vanilla oil. Here’s an interesting fact: New York’s Sloan-Kettering Cancer Center uses vanilla scents with patients undergoing magnetic resonance imaging (MRI) scans. Their rationale: Their 1991 experiments on five different fragrances revealed that a vanilla-like aroma had the most relaxing effect on patients. To those of you still missing our floral scent, I suggest our Advanced Age-Defying Serum. It offers a unique combination of patented peptides and botanicals. The delicate scent is an exquisite blend of essential oils—no artificial fragrances whatsoever. This Advanced Age-Defying Serum is so light you can use it day or night, alone or under make-up. Learn how to make your skip perfect with these 5 easy steps - Infographic. Advanced Anti Aging Serum is fast-acting firming serum with a wrinkle-control formula.